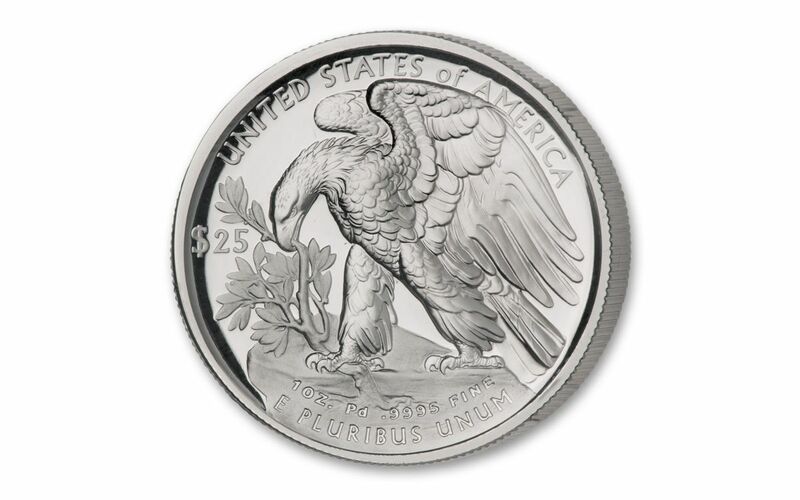 In addition, NGC has graded your Palladium Eagle to be a First Day of Issue (FDI) coin, meaning it was received by NGC or an NGC-approved depository by the release date or on the business day within 24 hours of the official release date. 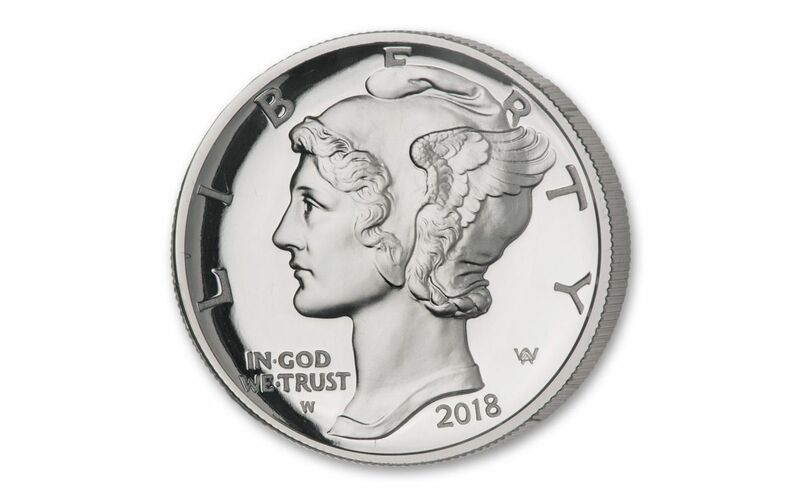 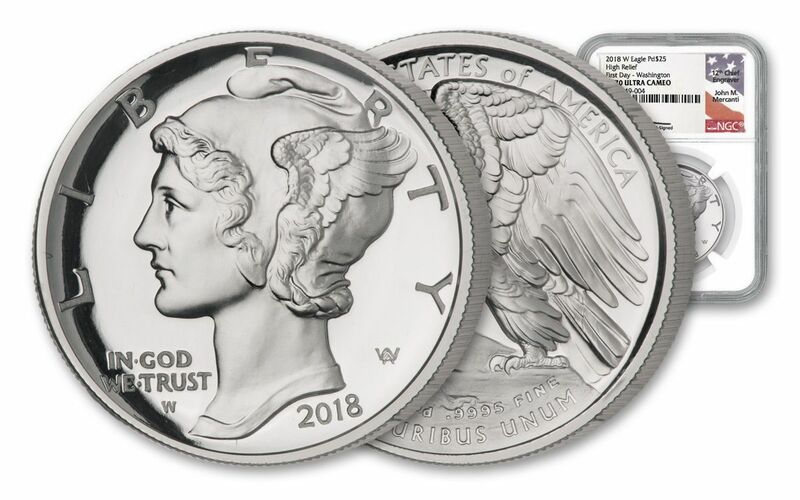 Plus, each Palladium American Eagle Proof in this offer comes sonically sealed in an acrylic holder with a Washington, D.C. release location designation label that was personally signed by John Mercanti, the U.S. Mint’s 12th Chief Engraver! 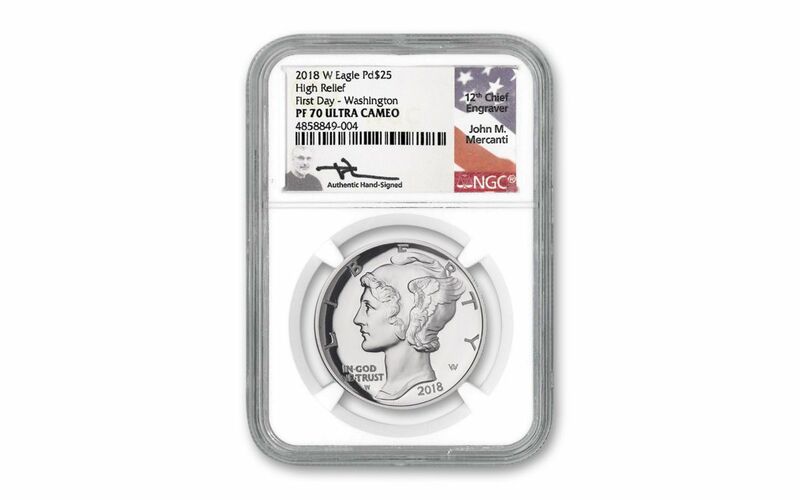 PERSONALLY SIGNED BY JOHN MERCANTI – Each Palladium American Eagle Proof comes sonically sealed in an acrylic holder with a Washington, D.C. release location designation label that was personally signed by John Mercanti, the U.S. Mint’s 12th Chief Engraver!